Enhance current practices with information to help your patients, stay informed, stay licensed and meet requirements. Access the Vermont Prescription Monitoring system (VPMS) and workforce development opportunities. Find resources for medication assisted therapy (MAT) and screening for substance use disorder. Information for health professionals to help their patients with issues related to alcohol and other drugs. Information for health professionals regarding alcohol and other drugs. Stay licensed and meet requirements. Supporting the development and maintenance of a qualified, competent and numerable alcohol and drug professional workforce. Find training and continuing education resources. 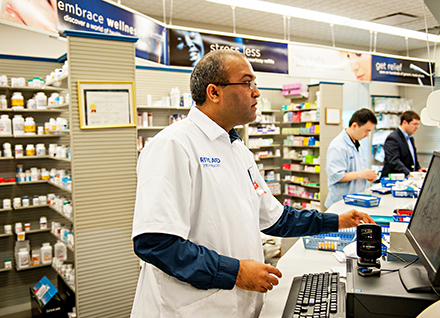 VPMS collects, monitors and analyzes electronically transmitted prescribing and dispensing data submitted by pharmacies and dispensing practitioners. Medication Assisted Treatment (MAT) is the use of medications, in combination with counseling and behavioral therapies, to provide a whole-patient approach to the treatment of opioid use disorder. Screening, brief intervention and referral to treatment is a comprehensive, integrated, public health approach to the delivery of early intervention and treatment services. Substance misuse in Vermonters age 65 and older is increasing. Be aware of unhealthy substance use, identify risks, and find treatment and recovery services. Certification and operational requirement rule for Vermont Department of Health approved and preferred providers. The Process Improvement Model of continuous quality improvement uses the Plan, Do, Study and Act cycle.